Megan Drake | South Whidbey HS: "Work Together, Have Fun, and Make a Difference"
Hello, my name is Megan Drake and I am a Junior at South Whidbey High School home of the Falcons. I play volleyball, basketball, and run track in the Spring. This Fall I started my second year of varsity volleyball and couldn’t have been more excited for school sports to start up again. Both my Freshman and Sophomore year were filled with great memories with my sports teams from overnight basketball trips, to going to state both years with the track team. Sports have always been a big part of my life. I watch them on TV, I played parks and rec league and now participate in varsity athletics in high school. One aspect that always plays a big role in athletics is team chemistry. When a team is close on and off the court it makes teamwork that much easier. One big thing that brings our volleyball team together is community service. 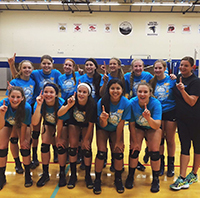 Every year the South Whidbey volleyball team participates in a team-bonding charity event. This past weekend at the Island Church of Whidbey, we had the privilege of packaging meals for kids in Malawi Africa. This opportunity is very special to my teammates and I not only does it bring us closer together but knowing that we are helping others as well makes it that much more meaningful. We were working with the organization Children Of The Nations. They have many programs developed to help the children in Africa. The specific project we worked on was packaging meals for orphaned children in Malawi Africa. Many African children are orphans due to the HIV/Aids pandemic and being able to provide them with a healthy meal was a great opportunity for all of us. Yes this is called volunteer work but when you're having as much fun as we were, it sure doesn't feel like work. Just like in our practices everything's a competition. For this we raced to see who could fill all their boxes with meals first. In two hours time we had packaged over 20,000 meals! Coming from a small community most of the kids at my school don’t spend all of their time on one sport. This is great because sports can compliment each other however it does make it hard to keep in touch with the teammates on your other sports teams. One thing I really like about my volleyball team is how we plan things in the summer as well. In the past we have done team pool parties and because we live on an island, we always have at least one beach day each summer. This is a great thing for our team because it gets us back together as we begin to start summer practices in preparation for the season to begin. High School sports are a blast and when you can enjoy your teammates along the way it makes it that much better. There are many ways you can bond with your team and here at South Whidbey we like to help out the community and have fun doing it with each other. 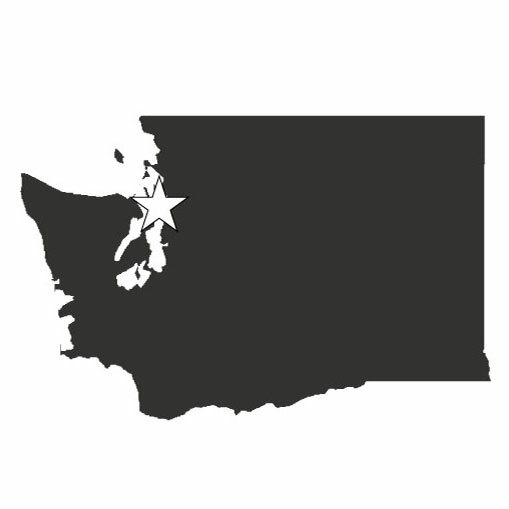 11/12/2015 Tylor Adcock | Kamiak HS: "The Goal of Life"
11/3/2015 Megan Drake | South Whidbey HS: "Work Together, Have Fun, and Make a Difference"